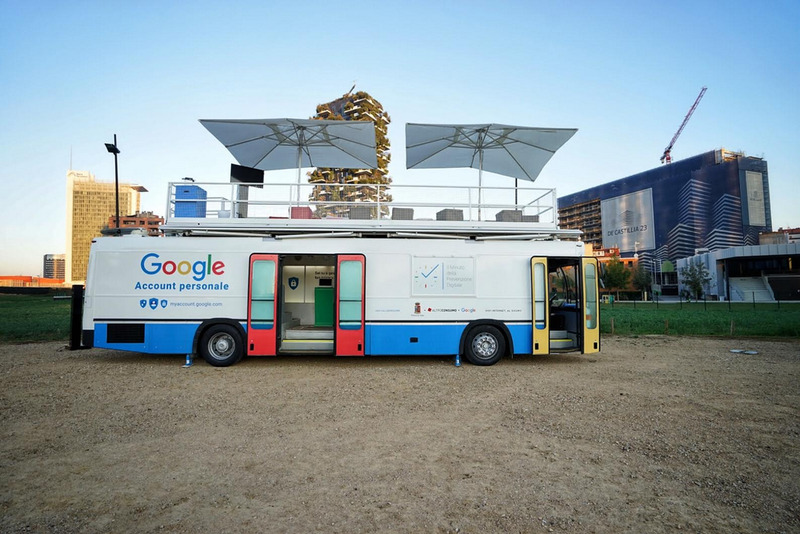 To mark Cybersecurity Month, Google Italy is going on tour — a bus tour, that is. Our Digital Safety bus will visit five Italian cities, bringing you Google-trained experts and representatives from the Communications Police and the consumer association Altroconsumo. We’ll be in Milan, Cagliari, Naples, Bologna and Rome on select dates in October and November — for all the latest, follow the hashtag #VivInternetAlSicuro. We’ve also partnered with the Italian Academy of the Internet Code to host events at universities in those cities, where we’ll be encouraging debate on issues of online privacy and security. We’ve invited representatives of the Italian data protection authority, government officials and academics to participate in each two-day event. There will also be workshops designed for students, graduates, researchers, professionals and entrepreneurs. Of course, even if you can’t visit us on tour, you can still protect yourself online: Just head over to My Account to get started.